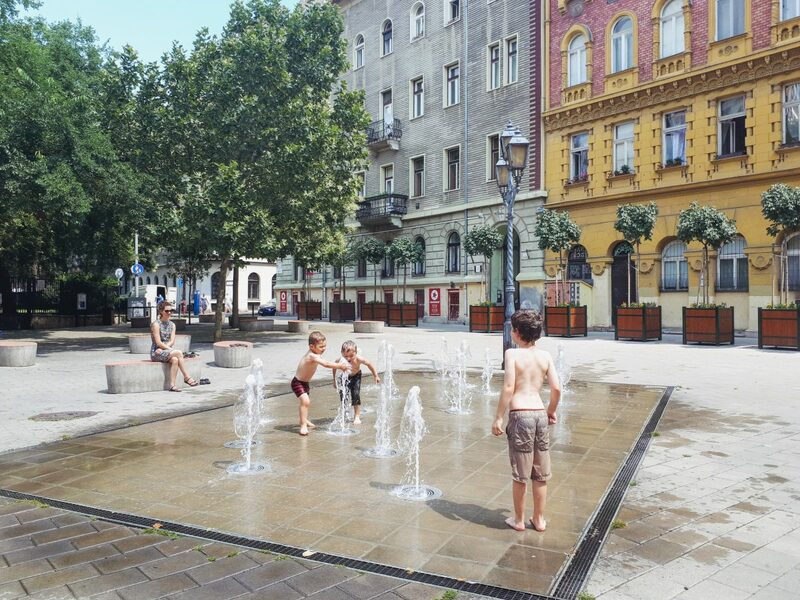 While planning our move to Budapest, we had this vague notion that we’d need to find some outdoor spaces where our young boys could run off steam. 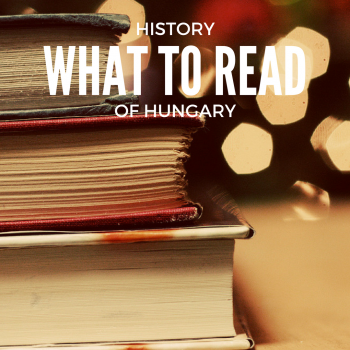 As it turned out, we had barely an inkling of the depth of that need, but fortunately, this is an area in which Budapest delivers like none other. Just check out this map! 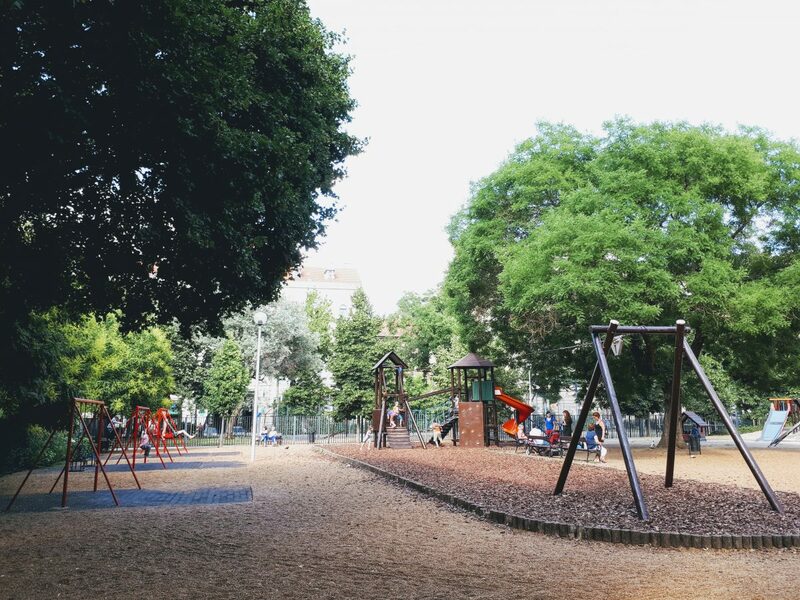 There are more than 60 parks here that we’ve discovered in central Budapest. And I don’t doubt that, as we lived on the Pest side, we missed a few gems over in Buda. If you see anything we’ve overlooked, just let us know in the comments below. 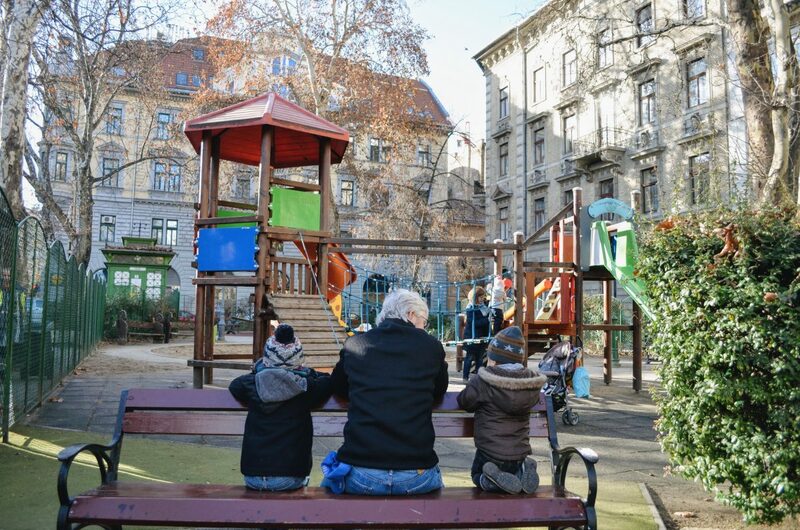 In early spring on a school day, you’ll likely find the big playground in Budapest’s City Park largely devoid of children. The City Park, or Városliget (the Hungarian “s” is pronounced as “sh”, so it’s said “VAR-osh-lee-get” with emphasis on the first syllable), is a leafy sanctuary full of outdoor delights. 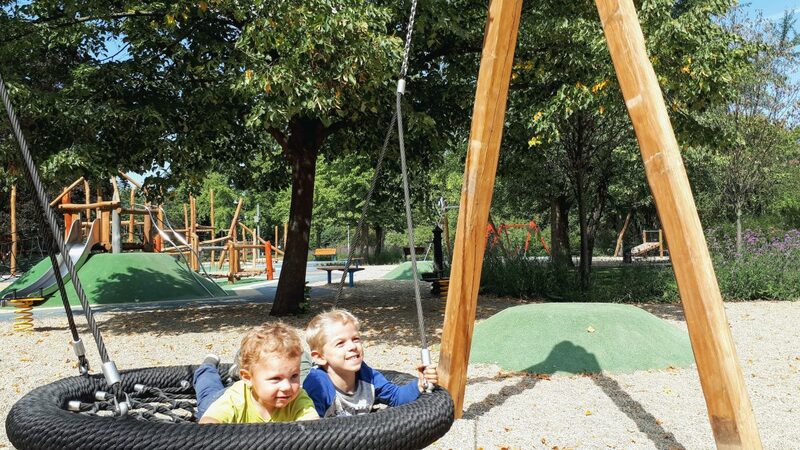 It has two playground complexes at the southwest corner and another smaller set of playground equipment (though with an abundance of swings) in the northern part of the park, between the lake and Széchenyi Thermal Bath. In the summer, there’s also a giant trampoline set up beside the northern playgrounds; pay a small amount of forint for 5 or 10 minutes of use. Tucked into various pockets of the park are also ball courts, a skate park, cafes, museums, monuments, a castle and a really cool training track for young “drivers” on whatever wheels they might be commanding, complete with street signs, traffic lights and crosswalks. The trolleybus lines 70, 75 and 79 all serve the Dvořák sétány bus stop, which is an excellent way to reach the southern playgrounds. Use the Széchenyi fürdő bus stop or Széchenyi fürdő M1 metro station for the northern playground. 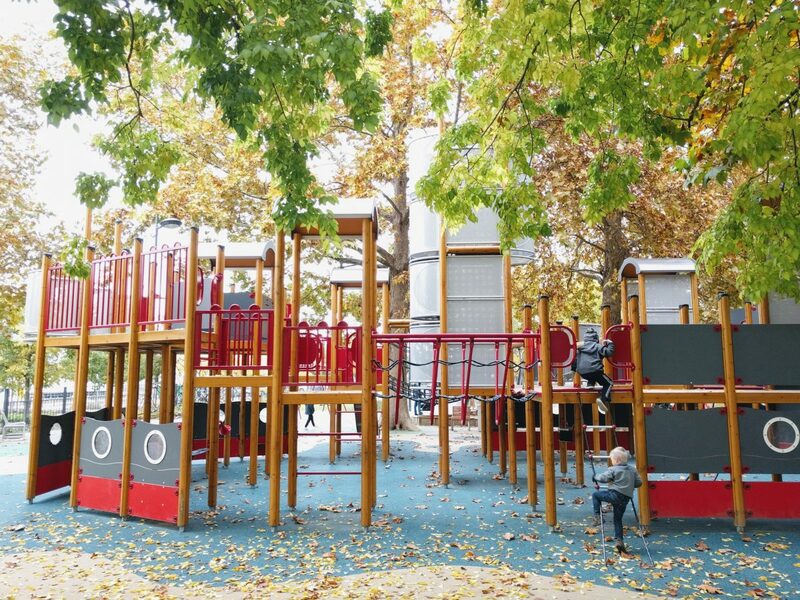 The large wooden playground on Margaret island opened in the spring of 2017. Margaret Island is the supreme retreat for Budapest-dwellers. We jokingly call it Margitszigetliget because basically the whole island (sziget) is a park (liget). Its offerings are diverse: a running track around the shore of the island; wide, green fields for football, Frisbee and sunbathing; a hodgepodge of rental vehicles and tours; multiple fitness clubs and pools; as well as several restaurants with lawn seating. For free fun, families can gather around the large fountain in the evenings to see light-and-music shows, wander around the Margitszigeti Vadaspark auxiliary zoo, explore the remains of monasteries and churches that once played an important role here, or sample the island’s superb playgrounds. 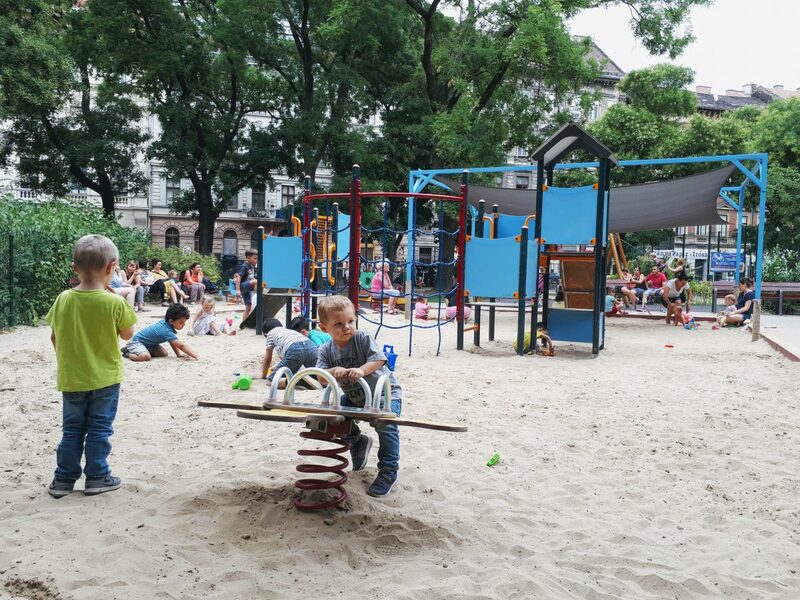 The southern-most playground, about a 10 minute walk from Margit Híd, has half a dozen play areas: some for tots, some for older kids, all set in sand. There are even two special swings for wheelchair users. A little farther north, also on the west side of the island, is a beautiful wooden playground built in spring 2017, geared more toward older kids. It has multiple climbing structures, a zip line and sand toys, all connected by squishy paths. There are a few picnic tables here but not much shade. The typical route to Margitsziget is via the 4-6 tram, which has a stop in the middle of the bridge where it Ys to connect with the island. The 26 and 226 buses shuttle visitors north and south up the center of the island. The large, new playground on Gellért hegy in Buda offers fun climbing structures, trampolines and slides for adventurous kids. The route up this hill is a mix of paved paths and stairs, punctuated by red benches affording sweeping views of the city below. The street corner near Gellért Thermal Bath is a good place to start the hike. Atop the hill are the graceful Liberty Statue and a Hapsburg fortress, the Citadella. Several play areas are scattered around the hill. The colorful Cerka-firka Playground on the west side boasts multiple climbing structures, plus swings and a hamster wheel. It’s best suited for older kids. Near the southeast corner, just a little ways up the hill, there’s been a few long slides on the hillside. This spring, in 2017, crews have been rebuilding that site, expanding it’s collection of slides and adding fun climbing structures, including a tower. Near the revamped slides park to the south is a flat play area with a few toys for younger kids. See the map above for more big green parks in Budapest. All the large parks above have playgrounds, but the fun doesn’t stop there. 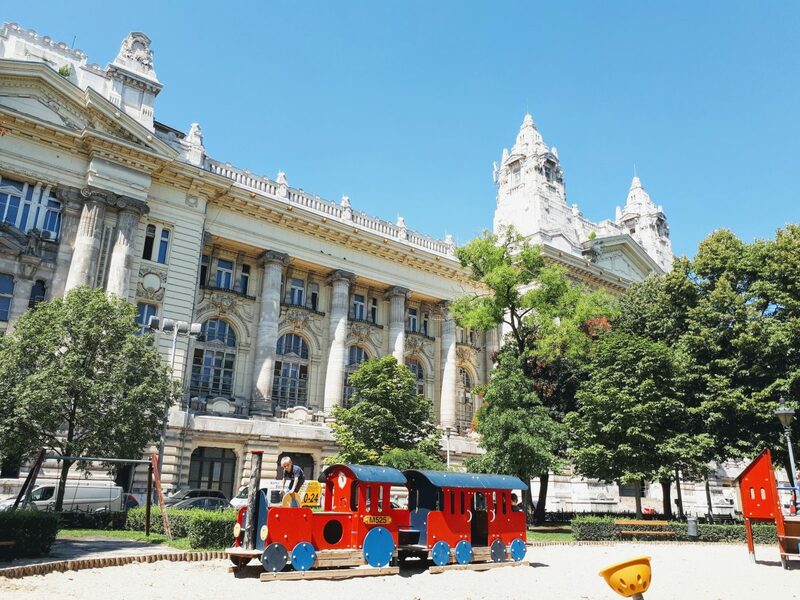 The city core is awash with play areas and small parks, one of the many ways that Budapest is a child-friendly city. Not all are described below, so be sure to check the map for a fuller list. The gated playground offers a tot slide, sandbox, monkey bars, climbing walls, and play structure with slides and rope bridge. Also within Erzsébet tér are restaurants, a skate park and the Budapest Eye Ferris wheel. Where else can you go to find playgrounds with backgrounds this beautiful? This large landscaped park has playgrounds for two age groups spit by a wide pedestrian walkway. The tot lot includes a train to climb on and lots of sand. The area for older kids has a few swings and some climbing structures as well as, you guessed it, lots of sand. In the center of the square is a cafe, beneath is a parking garage, adjacent to the east is the U.S. embassy. There are a number of monuments scattered throughout, including, oddly, a handsome statue of Ronald Reagan. The centerpiece of Olimpia Park, near the Danube River, is this giant wooden ship/play structure. 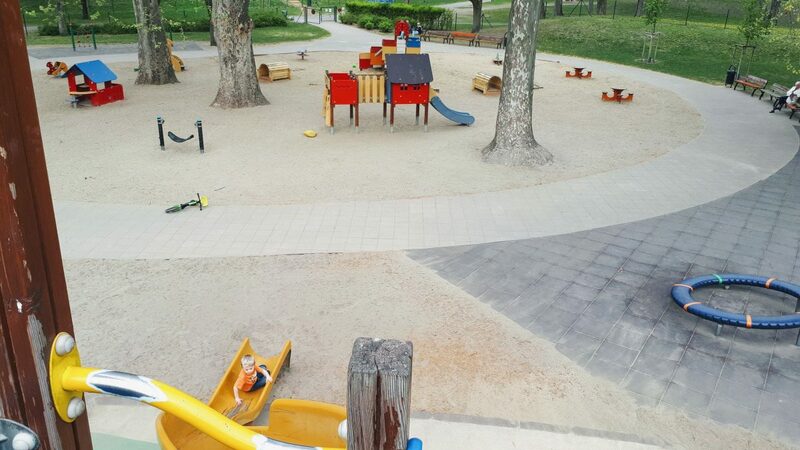 This beautiful and busy park has a grassy field dotted with trees on one end and an impressive collection of play structures on the other, divided by a terrace with water jets. The entire complex is surrounded by a fence. 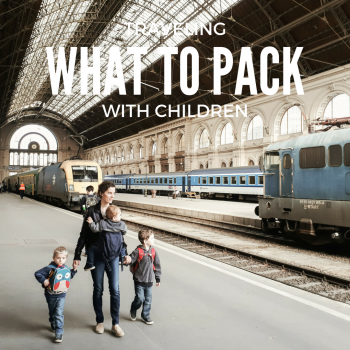 It is often bursting with kids, so you may want to dress your own in bright shirts to make it easier to keep track of them. There are swings and gizmos and climbing structures to delight kids of every age. Free community festivals are sometimes held here. This is another beautifully landscaped garden with three play areas, but the lovely hedges and trees make it impossible to supervise kids in different zones. One of the playgrounds is fenced, and occasionally its use is restricted to school groups. It’s worth the wait, though, offering a fun assortment of climbing structures, noise makers and a mini trampoline. The other two areas are meant for younger kids and are set in large sandboxes. At this park more than most, you will hear English spoken, including by the schoolkids who visit. Look for the resident rabbit in a cage beside the gated playground. Beautiful murals give this neighborhood park a fun feel. Equipment includes swings, seesaw, play structure with bridge, wooden ship and sandbox. This park matches it’s setting in the seventh district, being a little rough and run down. Still, it has a spacious gated playground with a few slides, swings and a zip line. 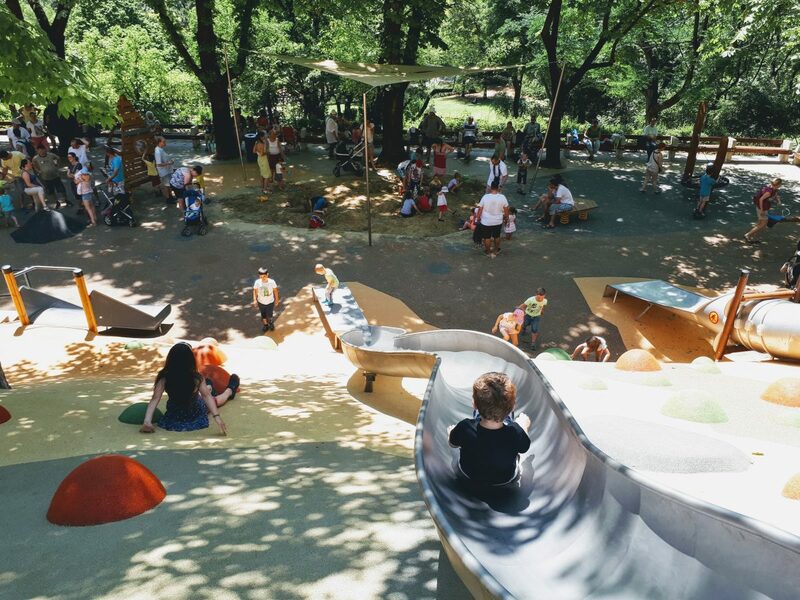 A gated playground offers climbing structures for every age, plus a sandbox and a couple swings. Just outside the fence are benches and picnic tables set under the trees. Also, there’s a fun little fountain that offers a great way to cool down on hot summer days. Here there is a small but fun gated playground — offering monkey bars, a tot structure, a few swings and a shaded sandbox — set within a pretty, sunny square. Hunyadi tér is also the site of a farmer’s market in the summer and an ice-skating rink in the winter. This is another cheerful little neighborhood playground, with a high fence, a few play structures and plenty of sand. There’s a Lidl grocery store adjacent. This is a large sun-baked square, and not the prettiest in the city. But it does have a sprawling gated play area along the eastern side, featuring multiple sand boxes, a zip line, slides and swings, plus a ball court and ping-pong tables. The M4 metro line has a modern station with elevator in the southwest corner of the square, providing a good access point. Or, walk a couple blocks southwest to get here from Keleti Station. This is a really cool themed playground tucked into the hillside that supports Fisherman’s Bastion and Matthias Church. It can be a bit tricky to find, but it’s not far. Walk on the stone pathway toward the public restrooms located just south of the statue of Saint Istvan mounted on his horse; if you continue past the restrooms you’ll find picnic tables set in the shade and the gated entrance to the playground. There’s an elaborate castle structure complete with canon and tunnels, plus several more play sets, swings, and of course, a sandbox. This park is beautifully landscaped, with a large fountain and flower beds at its heart. There are two separate fenced playgrounds and a big outdoor gym. This themed playground is based on a book series by Hungarian author Judit Berg. The large terraced park has attractions for all ages, including a ship, a castle, a sand wheel and a really fun maze-like structure for tots. See the map above for more playgrounds in Budapest.